Valtteri Bottas says he wants to sign a two-year deal with Mercedes if they opt to keep him on the team beyond this season. 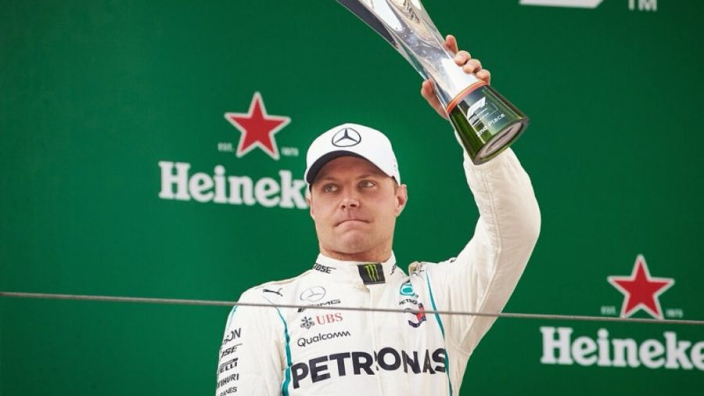 Bottas has been offered one-year deals since joining the Silver Arrows, but he believes his performances warrant greater security. Although a mid-season dip took him out of the title fight in his debut season at Mercedes, he finished third in the championship behind Lewis Hamilton and Sebastian Vettel, taking three victories across the year. Yet to win in 2018, Bottas has seen chances slip through his fingers in Bahrain, China and Azerbaijan, although he was arguably not at fault each time. Having outperformed Hamilton at a couple of events already this year, Bottas now wants the chance to prove his championship credentials long-term. "I would like to stay with this team, hopefully for a long time," he told Motorsport. "That is my target. As long as I keep performing like I've been performing this year so far, naturally it should be OK, all good. "I always kind of had one-year deals, so I would naturally like to know at least for the next two years what I'm going to do. "We speak a lot. We are very open always about my performance, about the car performance. We haven't yet talked anything about next year, we think it's still a bit early." Bottas and Hamilton have built up a strong rapport as team-mates, a stark contrast to the reigning champion's rivalry with Nico Rosberg previously. Hamilton consoled his team-mate after a puncture robbed Bottas of a certain win at the Azerbaijan Grand Prix, a gesture that the Finn appreciated. "It started off well but it's only got better as we got to know each other," said Bottas of their relationship. "We have very good respect both ways. "After [the Baku GP], straight after he came to me and said, 'You did a really good race and you deserved to win'. "We are good team-mates. We want to help the team together and work together, but we also want to win. He is a pretty complete driver, I feel like I'm getting more and more complete all the time. "It was, for a single race, maybe the biggest disappointment. Leading three laps before the end and then that gets taken out of you, it's tough. "Knowing how the championship table would have looked, it was hard, but I can't change it. Now I have this amount of points and that's what I need to work from."